The Rex Motel has all the amenities you need to make your stay with us as comfortable as possible. You will love the free cable TV, microwave, and mini-fridge that comes with your room. Our convenient location makes for easy access to great shopping and dining around Ventura. 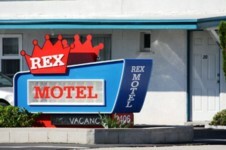 Make the Rex Motel your Ventura, CA lodging option and our friendly staff will be happy to take care of you.